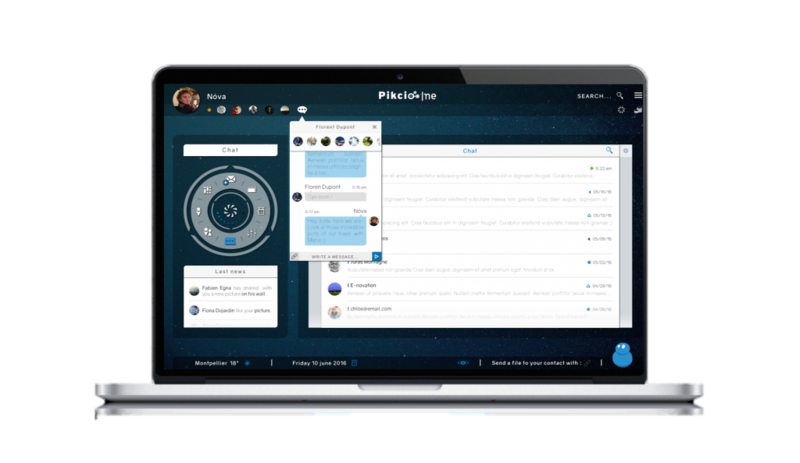 Pikcio is the first blockchain-based communication platform. Communicate safely and confidentially with your employees and/or customers. All your communications are encrypted, you can send "registered" email and there is no size restriction for your files. 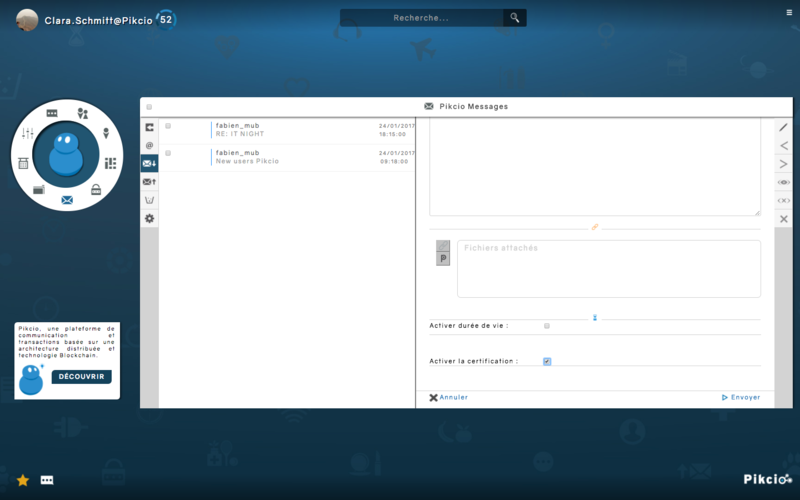 The application Pikcio is interoperable with your existing tools such as email accounts, electronic calendars, CRM, etc. Pikcio is an app developed by MatchUpBox. By using the innovative and distributed MatchUpBox network, your communications, files or data are stored within your device, and nowhere else. There is no third party storage such as server or cloud. Pikcio is currently available in AaaS, white label. Downloadable on windows, mac and linux (Android and IOS by the end of 2017).